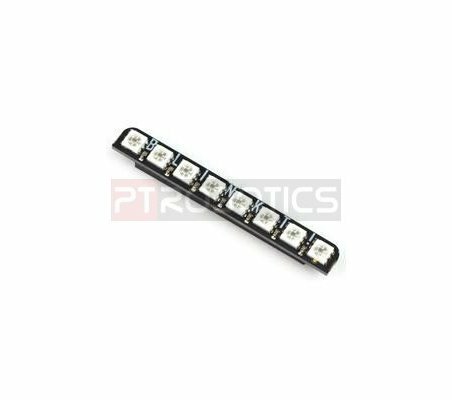 Eight super-bright RGB LED indicators which are ideal for adding visual notifications to your Raspberry Pi without breaking the bank! Inspired by Alex Ellis's work with his Raspberry Pi Zero Docker Cluster we developed these boards for him to use as status indicators. 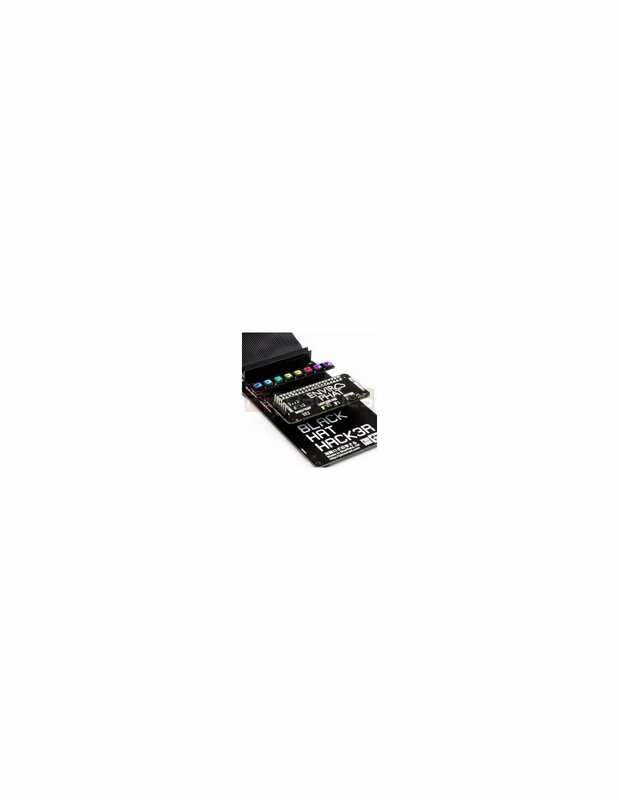 They offer eight APA102 pixels in the smallest (and cheapest) form factor to plug straight into your Raspberry Pi 3/2/B+/A+/Zero. 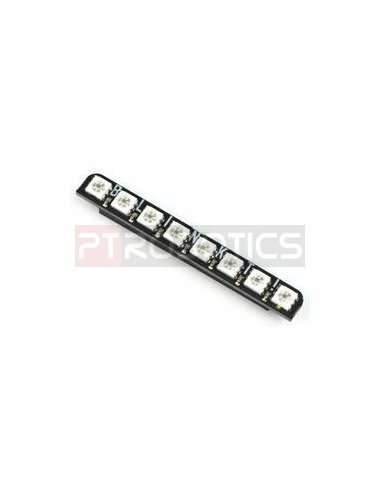 Each pixel is individually controllable and dim-able allowing you to create gradients, pulsing effects, or just flash them on and off like crazy. 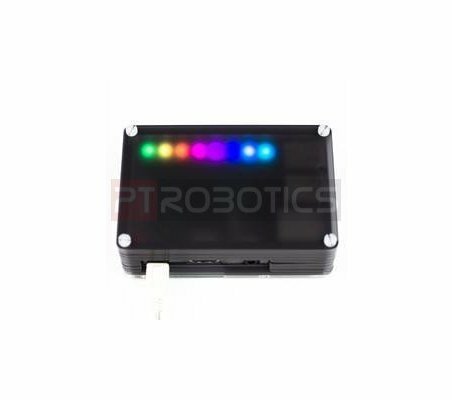 The data and clock lines are connected to GPIO #23 and #24 respectively but for simplicity you can just use our Python library to drive them. Update: In addition to our regular individual slimline postage friendly packaging Blinkt! is now available retail packaged with each Blinkt! 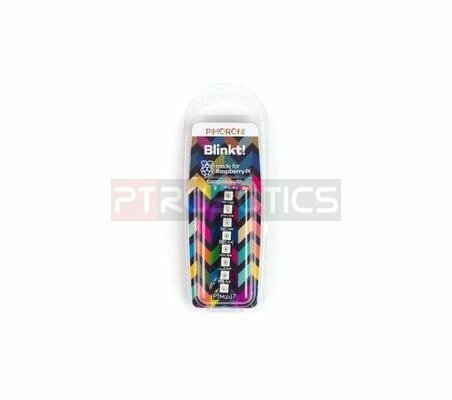 in its own colourful blister pack, ideal for retail display! Please note! Be careful to plug in your Blinkt! the correct way round, it has curves on the top that match the corners of any Raspberry Pi. 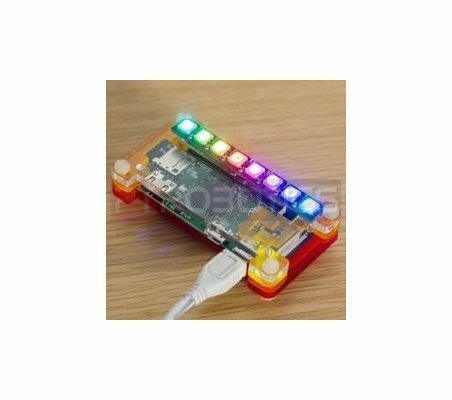 If you want to access the rest of the GPIO at the same time as using Blinkt! 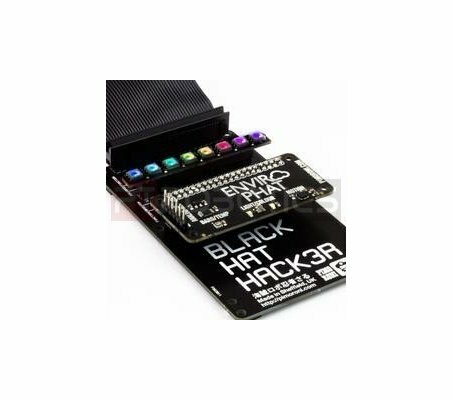 then our Mini Black HAT Hack3r is the ideal accompaniment allowing you to combine Blinkt! 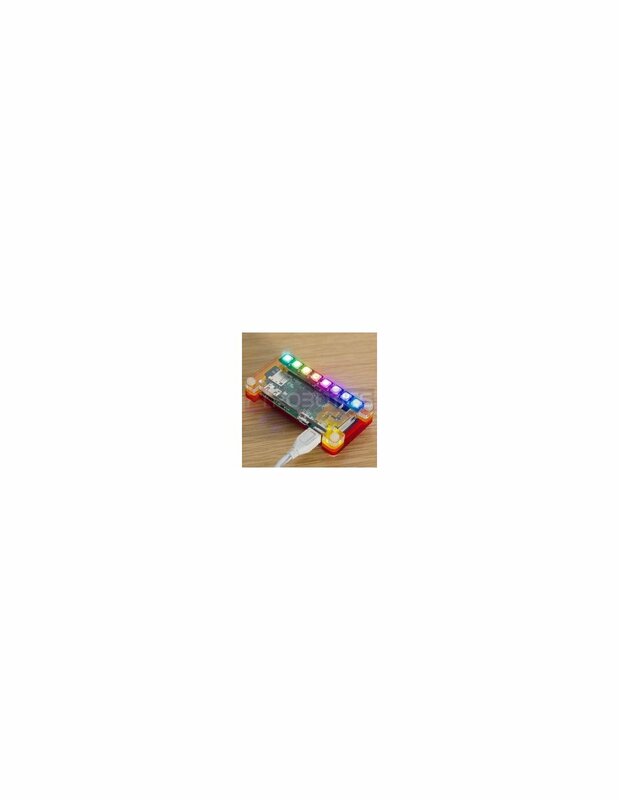 with another HAT or pHAT or just prototype using the GPIO pins for your own project.